Manufacturing products keeps the economy afloat. Countless products are manufactured every single day to meet the demands of consumers. Manufacturing plants maintain inventories for this purpose – to meet the continuing demands of their target market. A manufacturing firm cannot survive without inventory. There are several types of inventory, and each of them must be present in the plant to ensure seamless production of goods for distribution to individual sellers. But what really is inventory? It is a complete account of a firm’s components for production, products in stock, plant or buildings as well as contents of a building. In terms of manufacturing, inventory pertains to raw materials and other items that are necessary to carry out a production cycle of a specific product. Inventory management on the other hand is the process by which a company stores and orders their inventory, including raw materials and finished goods. Inventory costs optimization is maximizing the use of available inventory to enhance products and maximize profits. Optimizing is looking for the best way to manufacture a product for the best results. Raw Materials. Raw materials vary in types; they are the goods delivered to the firm that have not been processed into the products that the firm will sell to customers. They can be the materials or ingredients for the finished products or components. Work in Process (WIP). They are the raw materials that have entered the production stage but are still being produced or waiting to be produced. Finished Goods. Finished goods are the manufactured raw materials that have completed the production stage and are awaiting distribution to different clients. Maintenance, Repair and Operational Supplies (MROS). These are the components that are required to maintain the good running condition of the manufacturing plant and its machinery. They are also used in producing the finished goods but are essentially not part of the finished products. Distribution Inventories. Finished goods are stored in storage units or warehouses until such time that they are shipped to different places for distribution and sale. Why is there a Need for Inventories? Any type of market is controlled by demand and supply. 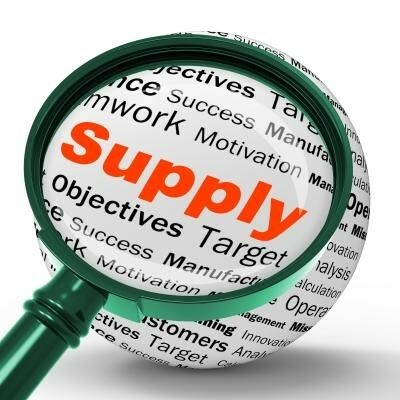 If there is adequate demand for the supply at hand, there is little need for inventory. But if there is more supply than demand for a specific product, the manufacturing firm will have to spend money on warehousing their inventory, and may eventually lead to significant losses for the company. Keeping an inventory of your products as well as other components is also important. Here are several reasons why. To benefit from large-scale orders. Buying raw materials in bulk is more beneficial to the manufacturing firm in the long run. The larger the order, the lower the price per unit of a raw material or component will be. Ordering raw materials requires shipping fees, labor and many other factors. Buying a few items at a time will mean more expense in terms of shipping, labor and cost per unit. This is especially helpful if there is a huge demand for a product. To create a buffer in the delivery of raw materials. Unforeseen circumstances such as natural calamities may result in the delay of the delivery of your raw materials. It can cause a domino effect in manufacturing: lack of raw materials to be produced will result in increase in demand in the market, and clients will look for other manufacturers who can fulfill their orders. If you have adequate inventory of raw materials, a delay in delivery will not cause a delay in production and distribution of goods. To allow for flexibility in production schedule. Waiting for raw materials to be delivered means a delay in the production process, and manufacturing firms must meet strict deadlines for production to be finished. If there is enough inventory there will be shorter lead times and less pressure on the part of the production team to deliver finished products on time. What Happens When There is Excessive Inventory? They say that too much of something is not good. This also applies to inventories in manufacturing companies. Adequate inventory, meaning the right amount of raw materials and components must always be in stock to create a buffer for the production team. But excessive inventory may mean losses for the firm. Stocking it in warehouses cost money, and if there is less demand for the products, then the raw materials may spoil, producing wastage. This will prompt the firm to procure new batches of raw materials to make up for the damaged materials that have been in storage for a long period of time. There are ways that a manufacturing firm can practice inventory costs optimization. Determining the amount of inventory to be stocked. The management must set an annual stocking policy on the amount of raw materials and components to be stocked based on the current demand of the product to be produced. Preparing a budget. A lot of firms have budgets in place well before they procure their inventories. The budget must allot for different types of costs such as operational, redistribution, carrying and other miscellaneous costs necessary for the warehousing of the inventory. Maximizing buying habits. All items in stock that have not had a turnover of say, one year, should be gotten rid of to prevent accumulating carrying costs. These items should be considered obsolete and must be replaced with new materials. Any inventory that has been determined to be obsolete should be eliminated from storage to make room for other materials to be purchased in the future. Positive inventory practices allow manufacturing firms to lessen the risk of losses in storing inventories that will no longer be useful in future production. It is necessary to manage inventories properly so that costs are significantly reduced, resulting in more profit for the company.